This entry was tagged Easter, faces, hat. Bookmark the permalink. Just when you think he has reached maximum cuteness, he surpasses!! I am running out of words for ways to respond to this baby. Time to take our the thesaurus! He is pretty cute if I do say so myself. That handsome boy! He is definitely a hat person. I agree, Jonene. Henry is a hat person and so adorable in this one, which is sort of a beret and really reminds me of the ones my French dad, Henry, (born Henri) used to wear. 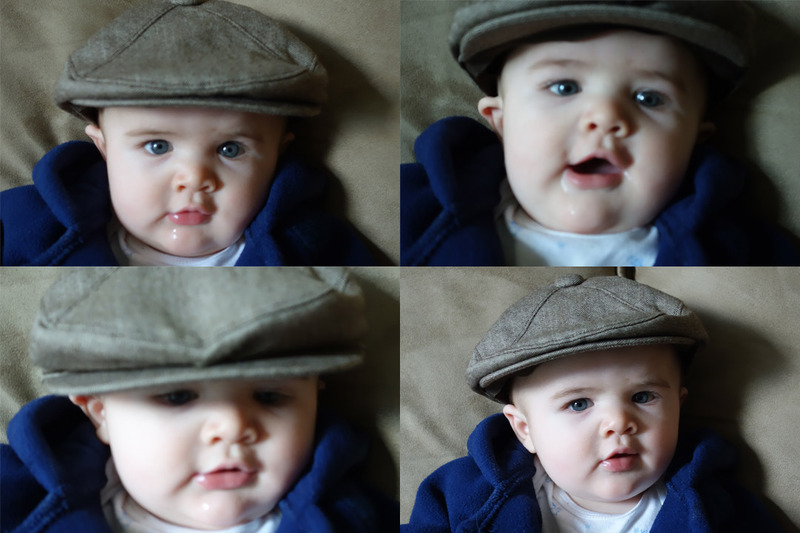 Wish my dad could be here to see this little Henry who is named for him, wearing a hat just like the ones he wore so well.